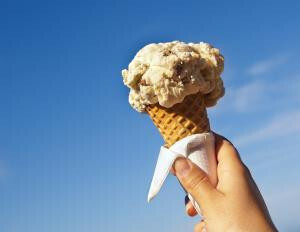 The ice cream shops that have been closed all winter are now open to serve up one of the best treats the Cape has to offer. While off Cape the options for ice cream consist of chains such as Dairy Queen or Friendlys, on Cape Cod, there is an abundance of shops that make their own ice cream (or sell ice cream that has been made in New England). The Ice Cream Cafe at 5 South Orleans Road in Orleans (508-240-0003) makes their own ice cream and frozen yogurt, as well as a "soft serve" by Chloe's which is made of water, fruit, and cane sugar. The Hot Chocolate Sparrow at 5 Old Colony Way in Orleans (508-240-2230) has more than just coffee, offering up ice cream by Richardson's, as well as their frozen mochas and hot chocolates. Sundae School, which has locations in Orleans (210 Main Street, East Orleans, phone 508-255-5473), Harwich (606 Route 28, Harwichport, phone 508-430-2444), and Dennis (381 Lower County Road, Dennisport, phone 508-394-9122), makes their own delicious ice cream from the finest ingredients. They are a cash only operation, so keep that in mind and keep cash on hand. The Ice Cream Smuggler at 716 Route 6A in Dennis (phone 508-385-5307) has great ice cream, as well as amazing ice cream cakes that are perfect for family get togethers or celebrations. They are also cash only. Katie's Ice Cream at 570 Main Street in Hyannis (508-771-6889) serves up their delicious homemade ice cream (which is made daily in small batches) and is a great stop if you are exploring Main Street in Hyannis. Lewis Brothers of 310 Commercial Street in Provincetown (508-487-0977) makes their own fantastic ice cream, and they also have a solar ice cream truck which visits the Truro Farmers Market and the beaches in Truro. Also in Provincetown, at 385 Commercial Street, is the Ptown Scoop (508-413-9591), which serves up locally made ice cream. Four Seas Ice Cream of 360 South Main Street in Centerville (508-775-1394) has been serving their great homemade ice cream since 1934 and is a great stop either on the way to the beach or on the way home. Cape Cod Creamery has two locations, one at 645 Route 132 in Hyannis (508-568-3600) and the other at 1199 Route 28 in Yarmouth (508-398-8400). They are known for their dense ice cream, which makes for a very flavorful treat. The Ice Cream Sandwich, located at 66 Route 6A in Sandwich (508-888-7237), serves up great homemade ice cream (they also make their own waffle cones and whipped cream), and 11 flavors of soft serve, as well as Gise, which is a natural soft serve product that has only 40 calories per serving. Gise is made with sweet milk whey with the milk solids and milk sugars removed. Ben and Bills has two local locations, at 209 Main Street in Falmouth (508-548-7878) and 20A Circuit Avenue in Oak Bluffs (508-696-0008), as well as locations in Northampton, MA, and Bar Harbor, ME. They have great homemade ice cream, as well as candy. They even have lobster ice cream with real chunks of lobster in it!